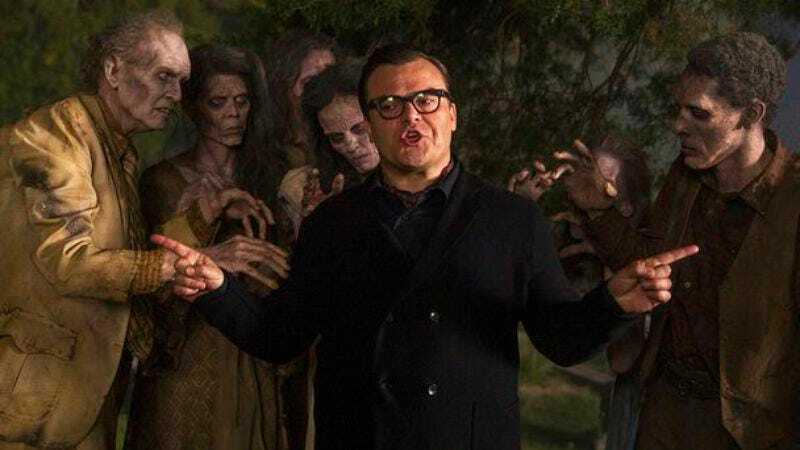 Having finished up with Goosebumps—which opens in U.S. theaters next week—Hollywood has metaphorically declared that it’s “not into stupid baby stuff anymore,” and is ready to move on to author R.L. Stine’s Fear Street books. According to The Wrap, 20th Century Fox and Chernin Entertainment are eyeing a film adaptation of the teen-focused horror series, and are definitely not scared of that skull pom-pom from the cover of Cheerleaders: The First Evil, so why are you asking, everything’s fine. The Fear Street series predated and ran concurrently with Stine’s later Goosebumps books, and often featured non-supernatural threats and psycho killers in the place of the latter series’ aliens and murderous dummies. (Also, it’s not like they’re even scary, executives assured each other, before daring their friends to read a script treatment for the film in the dark with a flashlight, if they’re so freaking brave.) Stine has confirmed that the film is in the works, although he wasn’t able to share any details about the movie’s plot, or which member of Tenacious D will play him if it ends up going the Goosebumps route and featuring him as a resident of sinister Shadyside, Ohio, where the 100 or so books in the series take place.